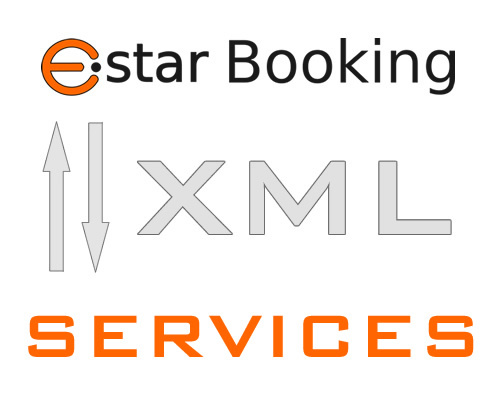 The online Estar booking management software has several options about XML API interaction. These API services are useful to allow connections from external software and websites, and allow a complete 2 way flow. Full agencies 2 way XML A.P.I. This 2 way XML a.p.i. 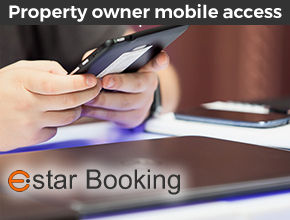 allow to the Agencies to access properties data, to update them every day and to send bookings to the Estar Booking applications. Via these functions the Agencies can acquire all the property data (such as address, GPS, descriptions, facilities, rules, photos, price lists, service price lists, promotions, closed dates), update them all via single requests, and offer to their customers all the connected availability, to provide information via their applications and interact via server functions with Estar Booking application, to send back bookings and related information. The API.BOL Estar module, (2 way XML service), allow all webmasters an easy integration of a booking engine inside their web sites. 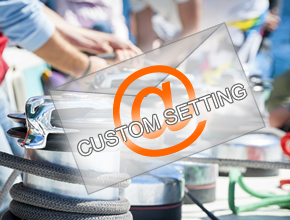 The calls allow the user to populate a search bar, to answer with a complete available property listing, to populate a full details property page, and receive bookings from the web site with Estar booking data integration, also with optional external SSL customer registration service step, returning to the web site at the end of the process to the final web site landing page, and automating customer e-mail service communication and booking confirmation. This allows the webmaster to focus on web site management and CSS design, by obtaining a complete Vacation Rental booking flow, inside their web site, with a professional result. This powerful module allows to External PMS to import data into Estar Booking applications. The 2 WAY XML flow, allows users to import main property data, price list, services price list and property availability. It also allows users to update services for main data, prices and availability. When Estar booking applications generate bookings over the imported properties, it is also possible to download all booking information and related guest data. 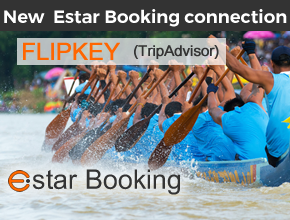 Estar group has developed integration between the main OTAs such us Booking.com Expedia, FlipKey, Atraveo. Nowadays Estar has created new partnerships with channel manager services, to offer to our customers a wide range of connections useful to be more powerful in terms of OTAs integration. This is your opportunity today to choose your favourite channel manager connection: Rentals United,MyBookingpal, Octorate.